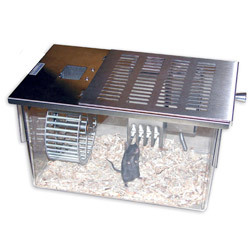 A complete mouse living chamber with activity wheel similar to the 80859S for rats. Features all stainless steel components, a light weight aluminum wheel, and polycarbonate tub and water bottle. 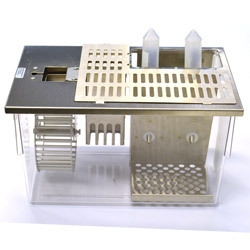 Use in place of 80820S Scurry Mouse Activity Wheel when a microbiological barrier filter is required. 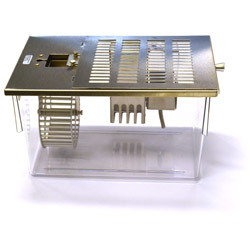 This complete 80820S style Activity Wheel Chamber package features rungs that can be easily removed to create a complex wheel rung surface similar to the Motor Skill Sequence (MOSS) test in mice. 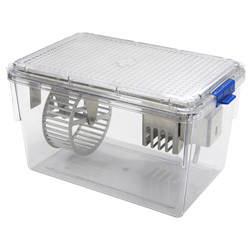 This unit combines all the features of the Mouse Activity Wheel Chamber with those of the Triple Lickometer. The chamber is fitted with two sipper tubes due to the size limitation. 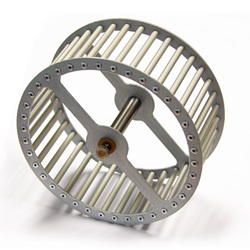 A standard Mouse Activity Wheel assembly for all mouse activity wheel chambers.